At AGA Cook Shop you'll find everything you need for the kitchen. 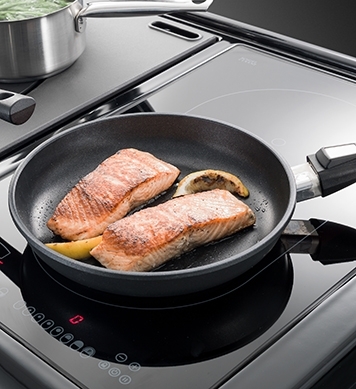 AGA cookware features heavy thermal bases for maximum efficiency, plus unique lid designs allow stacking in both oven and cupboard. 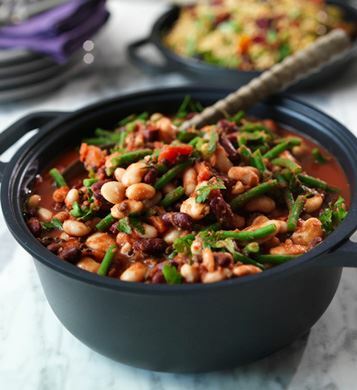 Durability is the key with British made cast iron cookware featuring beautiful enamel finish. 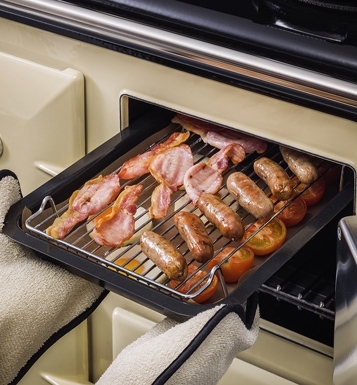 Our lightweight cast aluminium comes with removable handles so they can be used in the hottest ovens. 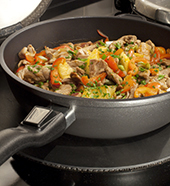 It's not surprising we are the cookware experts, cast iron pans have been made in our foundry for 300 years. 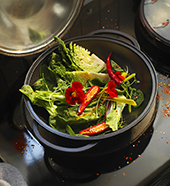 This range is suitable for use on all cookers including induction. 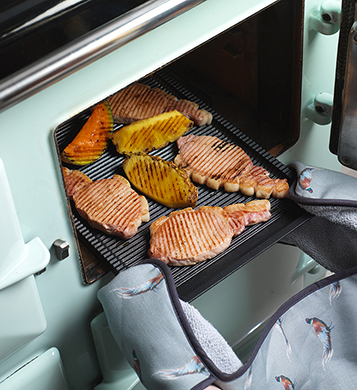 An exclusive range designed to fit on the AGA oven runners. 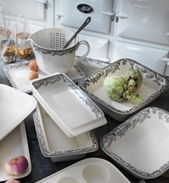 Featuring Delamere Rural decoration, our oven to tableware is microwave, freezer and dishwasher safe. Scratch resistant for cut and serve and easy clean, this range is ideal for everything from Yorkshire puddings, roasts, desserts and casseroles. The range can do it all. Handy Tip - When you buy the gratin and pie dish together, this creates a versatile casserole which is ideal for slow cooking in the simmering oven. 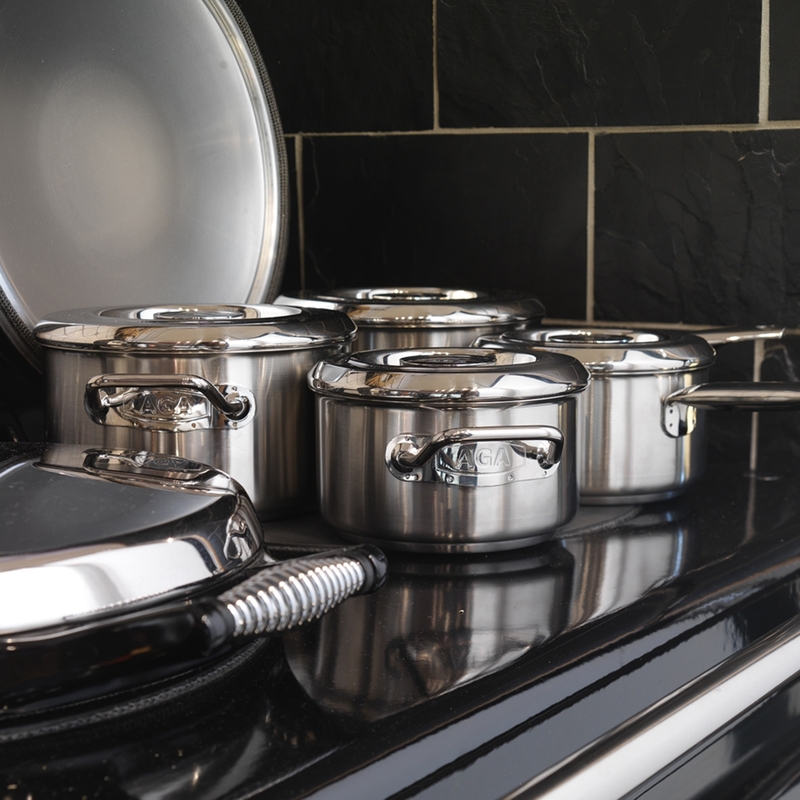 The best just got better with new look AGA Stainless Steel cookware. 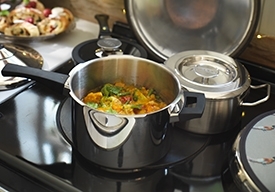 Designed by experts to create the perfect dish every time, this superior range of casseroles and saucepans are made to AGA's exacting standards. Not just ideal for casseroles, stews, soups and pot roasting, but for spaghetti sauces and risottos as well as slow cooking. 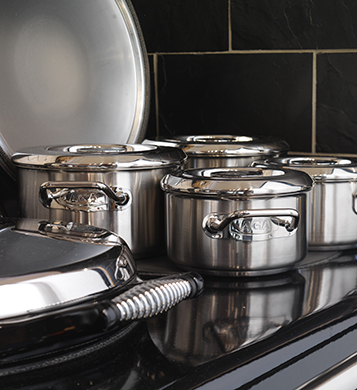 Our range of casseroles and stockpots are so versatile they can be used for a multitude of cooking needs. 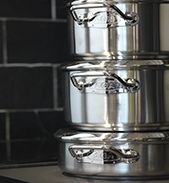 From stackable lids to large capacity stockpots and versatile 2-in-1 products, take a look at our range and choose the perfect item to suit you! 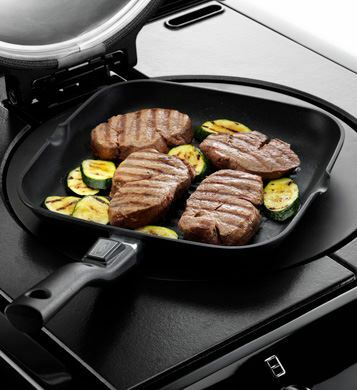 Choose from a variety of shapes, sizes and materials designed by our cookware experts for all you frying and sautéing needs. 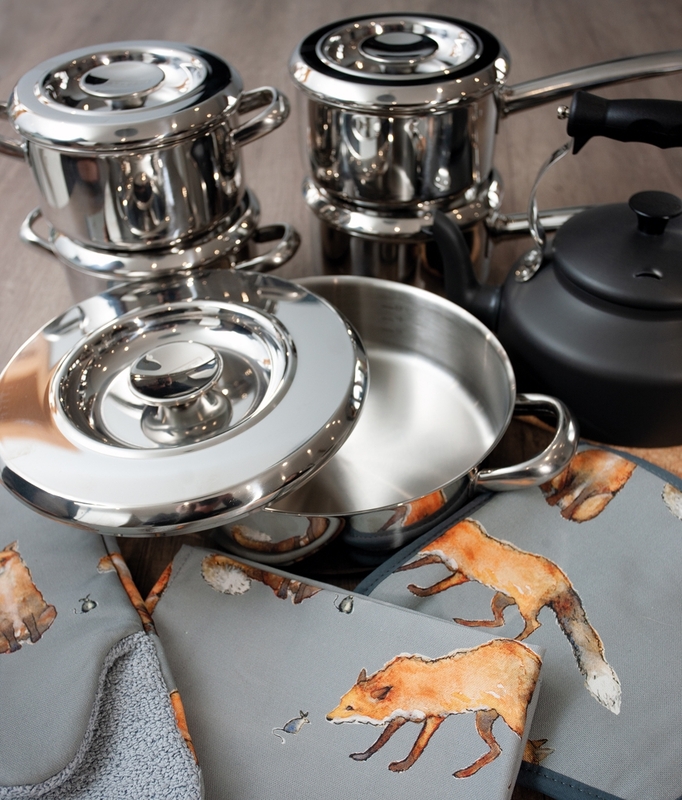 Featuring non-stick items such as our stainless steel fry pan or if you prefer the look of our cast aluminium range, browse our extensive collection to find something perfect for you.